Invisible Chai. | Do. Be. Interesting. If you read my blog, you already know that my work is the third least interesting creative activity in the known universe, and I’m trying to be more interesting. So I don’t write about it much. 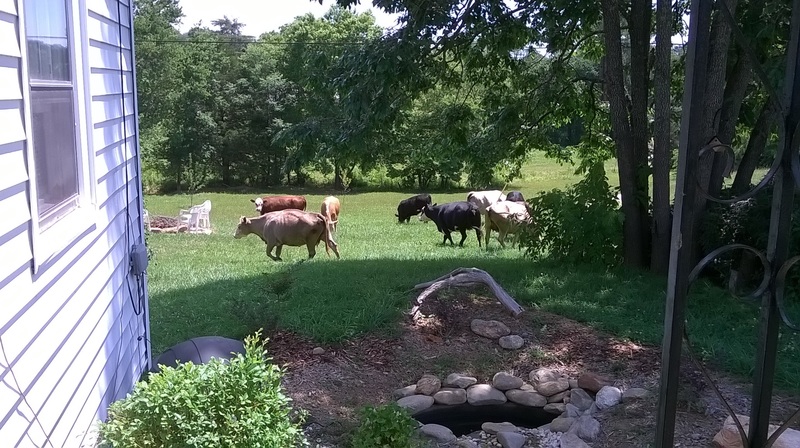 However, I’ve been taking full advantage of this time with the donkeys, cows and lawnmowers in the hayfields of North Carolina to write code. Thousands upon thousands of lines of code. So what new apps have I released, you might ask? No, I’ve been re-releasing the same games and apps one by one as they’ve been broken by various operating system changes. And yes, that’s a wee bit depressing. I could drone on endlessly about the frustration, the struggles and eventual triumphs I’ve experienced bending and shaping code to my will, and I actually did that, but then deleted it. The good news is that I’m slowly but surely winning! One of my invisible accomplishments is that I’ve written a cross-platform game engine and re-written my games on top of it. But if you’re like me and want everyone to be able to play your game when you’re hanging out in a group, this is one of the joys that makes life extra special as a developer in a world where half the group has iPhones and iPads and MacBooks and the other half has Android phones and Kindle Fire tablets and Windows laptops. And then there’s the one oddball Microsoft employee family member who has a Windows Phone. The Big 3 that control this world (Apple, Google, and Microsoft) all want me to write completely different code for their devices. Each in a different language. Oh, wait… you wanted that app to work on a laptop? A tablet? A phone? A watch? A TV? A game console? The web? Oh no, no, no…! Don’t be so silly! You can’t use that code anymore. Start over. It almost makes me wish for the return of the good old-fashioned software monopoly. If you’re an indie developer who doesn’t have the budget to hire developers to port your apps and games to other platforms, it makes sense to write your code on top of a cross-platform framework. And if that framework doesn’t exist, well, you have to build it yourself. But yeah, the games look pretty much the same on the outside. Well, Windows 10 broke my productivity app, Sooner Or Later (SOL), so I need to rewrite that, too. So far I have written and re-written that app for Windows Phone 7, Windows Phone 8/Silverlight, Windows Phone 8/RT, iOS, and Android. And now I’m biting the bullet and writing my own cross-platform user interface layer for SOL on iOS, Android, and Windows, which I hope will pay off for future apps as well. When I finish this huge investment, I’ll release a working version of the same old Sooner Or Later app on Windows 10. Yep. Once again, ridiculous amounts of code, no visible progress. I’m optimistic, though, that this is the final push on the invisible infrastructure work and that once it’s done, I’ll finally be in position to start cranking out all of the new apps and features I’ve dreamed up—on all the devices. For many of the reasons you stated above was why I decided to retire and build furniture or go fishing. Let no one say you are not interesting.